Going through that mountain took forever, but only because I used the Pokemon in and around the caves to train my team. During my training, my Lewis evolved into an Ivysaur! The flower on his back is starting to bud a bit and I couldn’t be prouder. While I was going through the cave, people kept talking about this suspicious group, Team Rocket. I heard about them in the news a few times. Apparently they’re a gang that steal other people’s Pokemon. They sound like a bunch of jerks. Why would you steal a Pokemon when you can find dozens in the wild? After some exploring, I ran into a guy who works for Team Rocket! They wear these black shirts with a big R on them. Which, if you really think about it, would you really want to advertise to the world that you work for an illegal organization? Seems to me that it would just make you easier to arrest. But I digress. There were actually quite a few Rocket guys in the mountain. They told me they were there for some kind of “job.” Apparently, they wanted to steal some fossils. I ended up bumping into a scientist that decided to share one of the two fossils he found with me. I ended up picking one called the Dome Fossil. The scientist told me about a Pokemon Lab on Cinnabar Island where I could make the Fossil come to life. I hope I can get there and get a new friend eventually! After a long trek through the mountain, I finally made it to Cerulean City! Unfortunately, while I was exploring, NAPPY found me and decided to challenge me to another battle. While we were battling, my team suffered a devastating hit. His Charmander melted my Pebbles. I was so sad when that happened. I was training for so long to get Pebbles strong and NAPPY had to go and kill it. I got so mad that, after the battle, I went up and started hitting NAPPY over and over. It didn’t hurt him much, but it made me feel better. Then he had the nerve to insult me to my face. I’m really starting to hate him more and more. With this horrible blow to the team, I decided to go back to Route 4 and catch a new friend. I ran into this little rough skinned creature that curled into a ball when I approached. I thought it was being all cute and shy, but instead, it charged at me while in the ball form. That’s pretty Hasty of it, if you ask me. She’s a Sandshrew, so I have named her Sandy. I’m going to train a bit more and cal it a night. The death of Pebbles really got me down. Hopefully, tomorrow will be a better day. 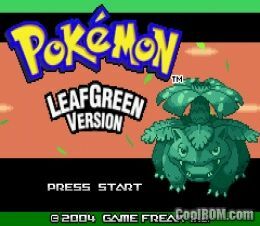 This entry was posted in Nuzlocke, Pokemon, Uncategorized, Video Games and tagged LeafGreen Nuzlocke, Pokemon, Pokemon LeafGreen, Pokemon Nuzlocke by richard0211. Bookmark the permalink.